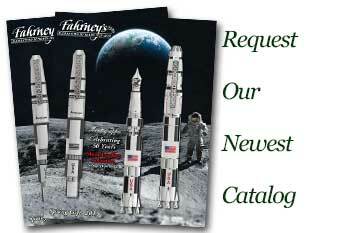 Order your Fisher Zero Gravity Ballpoint Pen today from FahrneysPens.com. Fine Pens, Refills & Luxurious Gifts – great prices & fast shipping. Take your next writing experience out of this world with a Fisher Zero Gravity Ballpoint Pen. The advance pen technology goes from the space shuttle to your own hands. It was discovered that regular ballpoint pens do not work without gravity. The design of the retractable Fisher Zero Gravity pen was the solution to this problem: pressurized ink which ensures a bold stroke at any angle, temperature, or surface. 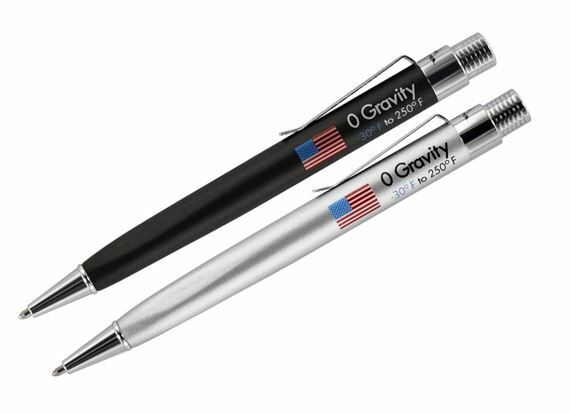 The Fisher Zero Gravity Space ballpoint pen is available in a silver or black cone-shaped barrel complete with chrome curved clip and trim. And with the unique closed design, the Fisher Zero Gravity Pen gives you an estimated shelf life of 100 years! It is the absolute best ballpoint pen that can be used in space or on Earth! Closed design creates an estimated 100 years of shelf life! Silver surface is non-slip. Base has 3 side areas for a comfortable grip.